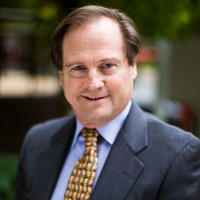 Stephen E. Cox joined Urban Investment Partners in 2005 as Chief Financial Officer. Prior to joining UIP, he was a Principal at WaterStone Capital, L.L.C. of Bethesda, Maryland, where he was involved in the placement of debt and equity financing on commercial real estate investment properties. Mr. Cox started his real estate career with the B.F. Saul R.E.I.T/Chevy Chase Bank, where he managed the Residential Lending Group with annual loan volumes of $900 million. Later, as head of Asset Management, Eastern Region for the J.E. Robert Companies, he managed $800 million of diversified commercial real estate mortgages and properties. With an M.B.A. from Harvard University and a B.A. degree in economics and mathematics from Yale University, Mr. Cox has strengthened UIP’s ongoing activities in real estate investment, asset management, and administration.